Communication. A noun and a word that impacts every sphere of our life and literally every relationship in your life. If we don’t communicate properly and convey our message, then it can turn out into something very dangerous, when it comes to corporate life. 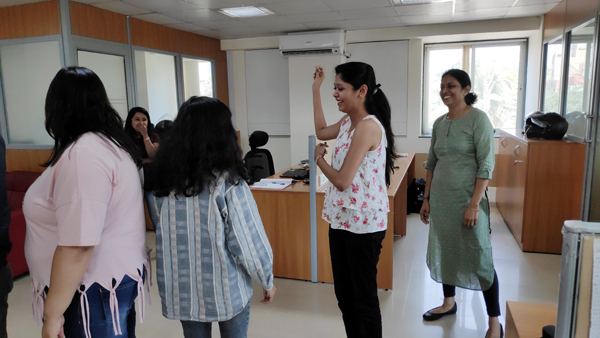 And that’s what by Sakshi Kashyap, our HR Representative, taught us with the help of a very interesting activity. 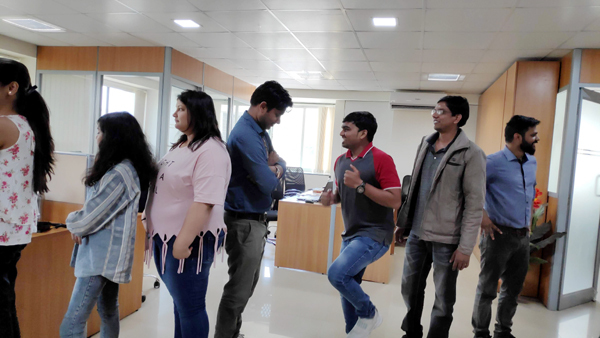 A newbie at our workplace, Sakshi is an extrovert to the core. Well, in her profession, one needs to be so and she is very astute. She loves travelling and has already created is awesome bucket list of places that she wants to travel to. Sakshi spends her leisure time dancing and completing her tasks. Unlike others at our workplace who are foodies and ready to experiment with food, she is quite choosy about what she wants to eat. Though she is just 2 months old in the company, Sakshi has come to love the work culture that allows her to work without any pressure. 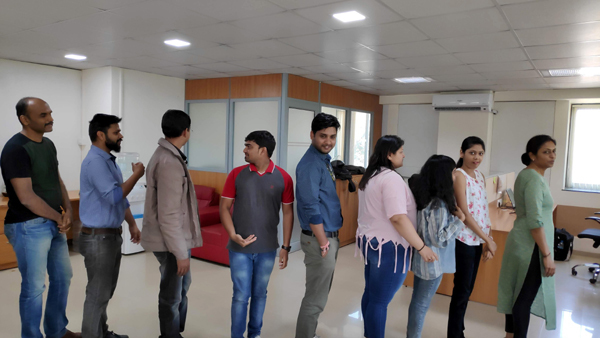 From the fitness sessions that have been our theme for the Continuous Learning sessions at work, we are deviated a little this time. During the game, I recalled how I have played this game earlier and slowly stepped back to my childhood days. I am playing a game called Telephone/Chinese Whisper with other kids in the neighbourhood. We are sitting in a straight line and the game has already started. I can see one of the players is whispering something in the next player’s ears and I am eagerly awaiting for my turn. Soon, the kid in front of me whispers into my ear. Words from her aren’t very clear to me. Yet, since I don’t want to let others know that I really didn’t get the entire stuff, I make up an entire new sentence with what I understood and adding a few things of my own before whispering the message to the next kid. As the whisperings continue down the line of kids, the end result turns out to be something very hilarious and not quite what the first kid in the line started. So, I feel a little better and a little worse at the time. Better, because I was not the only culprit in turning the message upside down. Worse, because, yes, I did have a little part in it. Little did we know, these childhood games were a gentle introduction to the art of communication. Well, let’s get back to the present day! Sakshi wants us to play the same game again and bittersweet memories come flooding back. There is also the confidence of having come a long way since childhood and I know I am better at communicating now but I am also a little bit uneasy because I know the possibilities of what can go wrong when playing this game. However, there is a twist to the rules put down by Sakshi. We are not going to whisper words or sentences – in fact, we will be “whispering” actions. The game turned out as we expected, full of fun and confusion at the same time. One might think that mistakes are possible only when you hear and repeat the messages. We realised that it was the same with actions as well. Something or the other sure did go wrong by the time the action reached the last person. It seemed so easy to everyone, still every time the final action used to be completely different from the starting one. But, this fun activity has a layer of deeper meaning too. It subtly lets us know how dangerous even a small communication gap can be when it comes to information flow between hierarchies inside an organization. The game also emphasizes the power of observation when working on a project or in the day-to-day work life. Thank you Sakshi for this great game, the lessons it imparted and a piece of childhood.